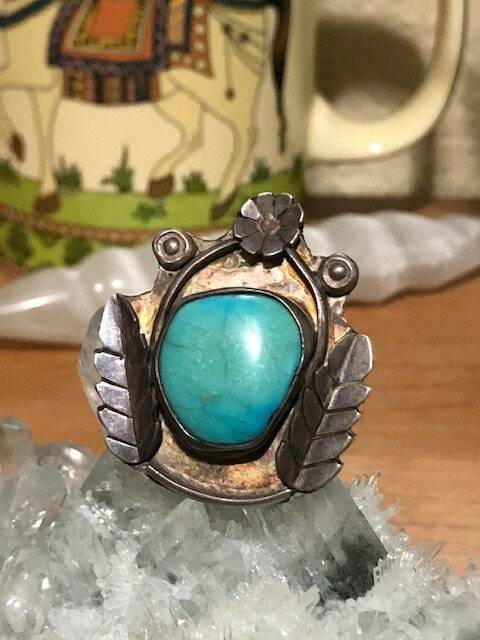 Extra large natural turquoise ring with a feather down both sides. The stone, which measures 1/2" x 3/4" is set in a smooth bezel. 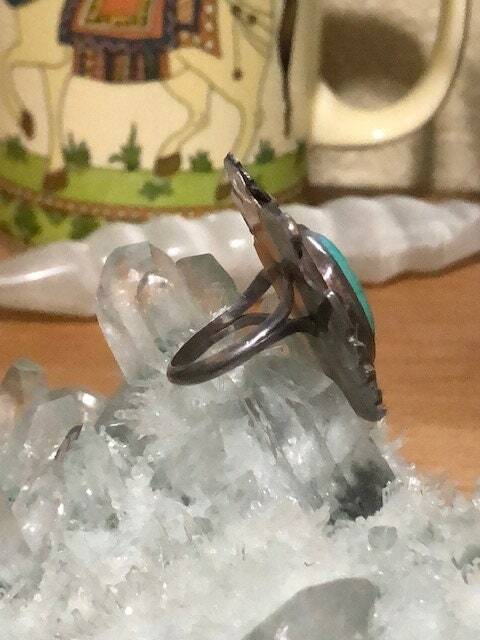 The set is mounted to a split shank band. 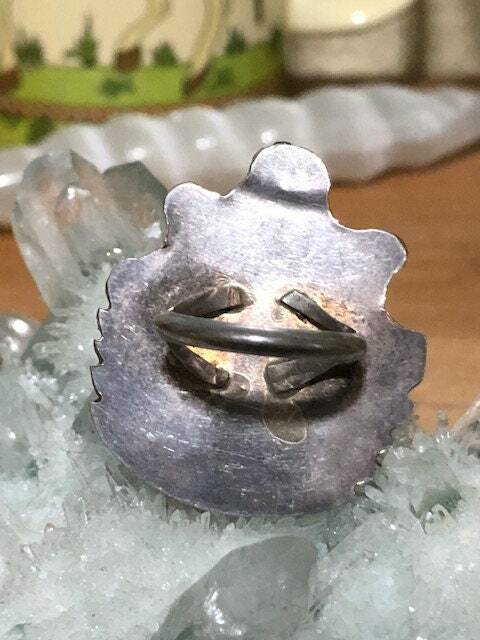 The face of the ring measures 1 1/2" by 1 1/2". It is a size 6.5. No markings or hallmarks. Visit Song Sense Jewelry's Shop at https://www.etsy.com/shop/songsense to see my other items!